When a mass-market business like Hungry Jack’s starts spruiking its new fully plant-based burger, you know the vegan movement is having an impact. Sure, it’s probably not the tastiest example of its kind – in fact, one meat-eating lifestyle journalist described the fast-food burger as one of the blandest things she’d ever eaten – but it is indicative of the rapidly growing market for vegan food products. 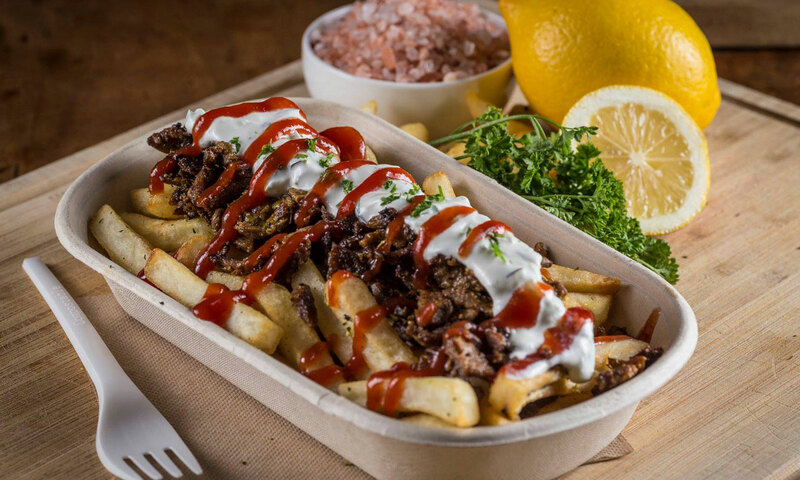 In Adelaide, the past couple of years have seen a boom in the number of new fully vegan cafes, restaurants, bakeries and food trucks, while at the same time other venues – from pubs and pizza bars to fine-dining eateries – are extending their menu of plant-based dishes. “I haven’t eaten the flesh of an animal for 27 years and in the last 12 months the jump has been greater than in my whole life – it’s been incredible,” says Lea McBride, director of this weekend’s Vegan Festival Adelaide. “Momentum is growing – people are more aware, there are more animal rights activists out there educating and people are taking notice. The first Vegan Festival Adelaide, held at Brighton Primary School in 2007, attracted around 1500 people. McBride says last year’s two-day festival in Victoria Square was attended by around 18,000. Pumpkin and pickled carrot tart will be on the Vegan Festival Adelaide’s Vegustation Dinner menu. This weekend’s event will have more than 80 stalls selling food, drink and a range of other products. As well as cooking demonstrations and talks, the festival includes a sold-out fine-dining Vegustation Dinner tonight at Prohibition Gin’s Gilbert Street warehouse. McBride says that as the number of venues catering for vegans has increased, so too has the range and variety of food on offer. 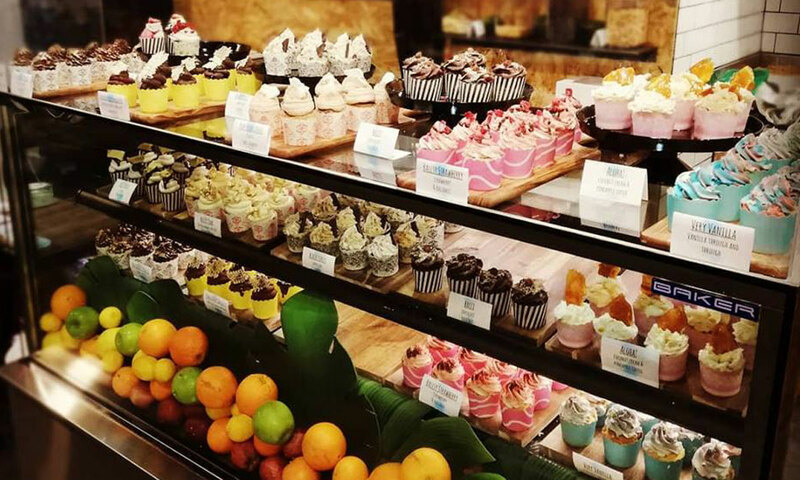 Among the latest plant-based eateries which have opened in Adelaide are Crux café at Semaphore Park, V Vego bistro in Gawler Place, Bob Bowls at Port Adelaide and Nathan Bakes, which currently has a pop-up in Adelaide Central Market and has also opened a stall at Plant 4 Bowden. Mexican restaurant Hispanic Mechanic, in Frewville, also recently launched an exclusively vegan kitchen with a menu dubbed “Dancing Daikon” which includes dishes such as a “KFC Taco” (Korean Fried Cauliflower Taco), a chilli dawg (carrot hot dog) and deep-fried banana chips. 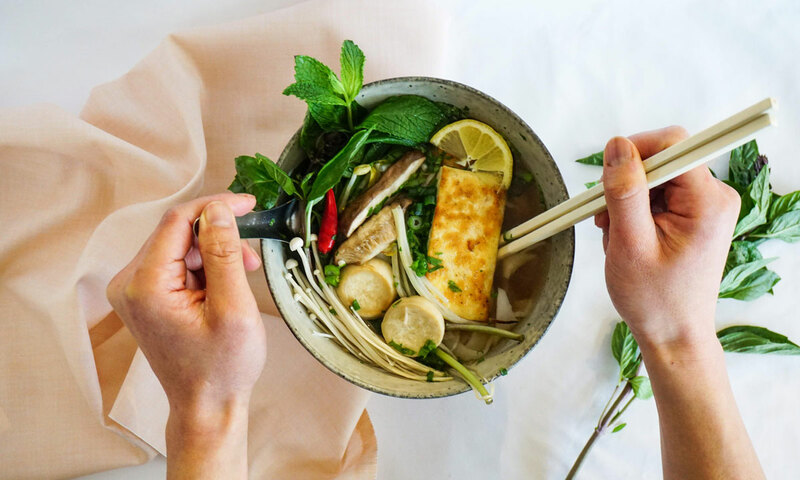 The newest plant-based business on the block is Vietnamese eatery Metta Sol, which will have a stall at Vegan Festival Adelaide ahead of the planned opening of its restaurant in Goodwood next month. Run by long-time friends and now business partners Cindy Nguyen and David Nguyen, Metta Sol will have a healthy, wholefoods focus, serving dishes such as pho made with vegetable broth, mushrooms and tofu; congee, and Vietnamese salads and bread rolls. “We both became vegan and we just wanted to share what you can do with vegan foods and broaden people’s minds,” Cindy says. “We are not out to replace traditional dishes but we want to show everyone how we can develop the flavours we grew up with and make dishes to suit a plant-based diet. Metta Sol will be serving its vegan pho at the Vegan Festival Adelaide. Also operating a stall at Vegan Festival Adelaide will be Nathan Bakes, which has found a ready market for its vegan and gluten-free sweets. Since it featured in The Forager in August while operating a producer-in-residence stall at Adelaide Central Market, the business has been invited back to the market to operate a pop-up stall for two months, and has also opened a permanent stall at Plant 4 Bowden and launched a range of house-made flavouring syrups. Nathan Bakes cupcakes at Adelaide Central Market. Pastry chef and Nathan Bakes co-owner Nathan Schubert isn’t vegan himself, but says he was motivated to create his totally vegan and gluten-free range of cakes – including everything from cupcakes, tarts and biscuits to customised wedding cakes – because he felt there should be more options for people with food intolerances or dietary preferences. “We try to focus less on the fact that it’s a vegan and gluten-free cake and more on the fact that it’s a delicious cake that happens to be vegan and gluten-free,” he says. Certainly not new, but recommended by almost every vegan consulted by The Forager, is the “all-vegan, all-cruelty-free” Cherry Darlings Bakehouse in Forestville. It is one of the local plant-based pioneers, starting out as a vegan catering business in 2011 before opening as a bakery in 2014 and garnering a following for its range of pies, cakes, doughnuts and milkshakes. Other places that come highly recommended are plant-based café Nagev on Payneham Road, which is particularly popular for brunch; V Spot at St Morris, which markets itself as “SA’s first 100% vegan pizza bar”; Two Bit Villains diner in Adelaide Arcade, which specialises in vegan and gluten-free food (we’re told the chilli cheese fries are a must-try); Goodwood grocery store Everything Vegan; Greek food van Staazi & Co, known for its vegan yiros; Zenhouse vegan and vegetarian eatery (try the dumplings and “fake duck”); plant-based wholefood café Sukha Life, which opened just over a year ago on Hutt Street; Eggless dessert café in Goodwood; vegan-friendly food truck Forage Supply Co, and Ascot Park’s Salem Café, which serves a “smoked, grilled and boozed plant-based menu” including mock meats made from scratch in-house. Staazi & Co’s vegan loaded fries. Hispanic Mechanic’s new vegan kitchen and menu has also struck a chord with customers, and head chef Greggory Hill tells The Forager he relishes the challenge of coming up with creative and tasty plant-based dishes. There will also be some new vegan taco options coming soon, including a jackfruit and plantain taco with a vegan sour cream and black beans. The introduction of the “Dancing Daikon” menu and the “Vegan Love Shack Kitchen” was inspired by the changing habits of customers, and marks the realisation of an idea that Hill – who follows a mostly vegetarian diet himself – had been toying with for some time. Although the restaurant still operates its original kitchen and menu as well, he says vegan customers can take comfort in knowing their food is prepared in “a completely vegan environment”. One thing he’s noticed since it was introduced is an increase in larger mixed groups comprising vegans and non-vegans dining together at the restaurant. “Veganism is absolutely not a phase,” he says. Paul Arguile, a former chef and co-owner of Topham Mall’s Booknook & Bean – which will have a stall at the Vegan Festival – hasn’t eaten meat, eggs or dairy products for several years and says his gradual switch to a plant-based diet began after he was alerted to some of the concerns surrounding pig farming in Australia. His favourite restaurant for plant-based food is the “veg to vegan” Pollen 185 in Hyde Park, which has dairy and egg options on its breakfast and lunch menu, but serves a totally vegan dinner menu. It’s the inventiveness of the dishes that appeals to Arguile – “it’s very, very creative what she [owner-chef Jyoti Bindu] does with food”. 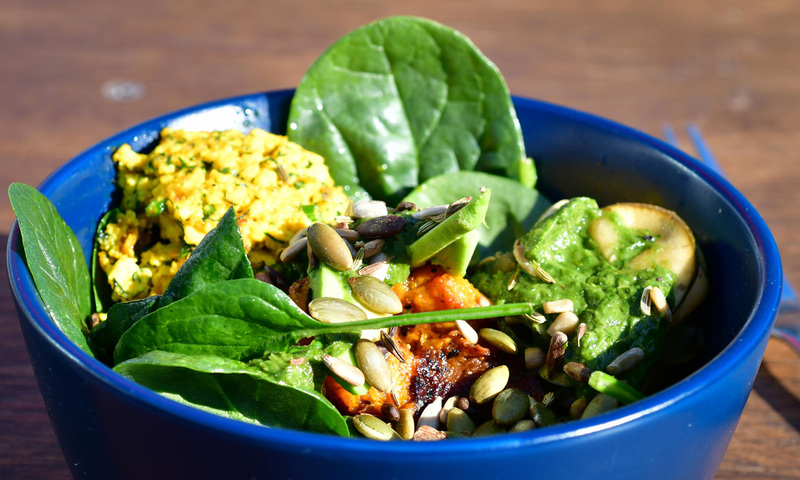 For a quick and nutritious vegan meal, he nominates Bob Bowls (featured in this Forager article), while Hot Vegan Gourmet, a regular stallholder at the Willunga Quarry Market, gets the tick for its pies. A bowl of plant-based goodness from Bob Bowls. Arguile says the increasing number of vegan-friendly food products – including meat substitutes and vegan “cheeses” – are also making it easier for people to follow a plant-based diet at home. This increasing availability of good non-dairy cheese alternatives, according to McBride, is one of the reasons more pizza places are now offering vegan options. Having attended vegan festivals this year in the UK and the US, she says the changes in Adelaide reflect what is happening in other parts of the world. And she believes that the vegan revolution isn’t going to slow down any time soon. The Vegan Festival Adelaide will take place this Saturday and Sunday in Victoria Square. See the full program here.